Time travel fans on a tight budget may have found their purses taxed a bit this month, as there were several worthy entries in the field, in theaters and anticipated. Rachel McAdams joins the ranks of those who have been in three well-known time travel movies, having been the title character in The Time Traveler's Wife and the time traveler's fiancé in Midnight in Paris, once again the wife of the time traveler in About Time. The film has a lot of the feeling of the Christmas film Love, Actually, including that impression that you've seen all these actors before but can't quite place them. 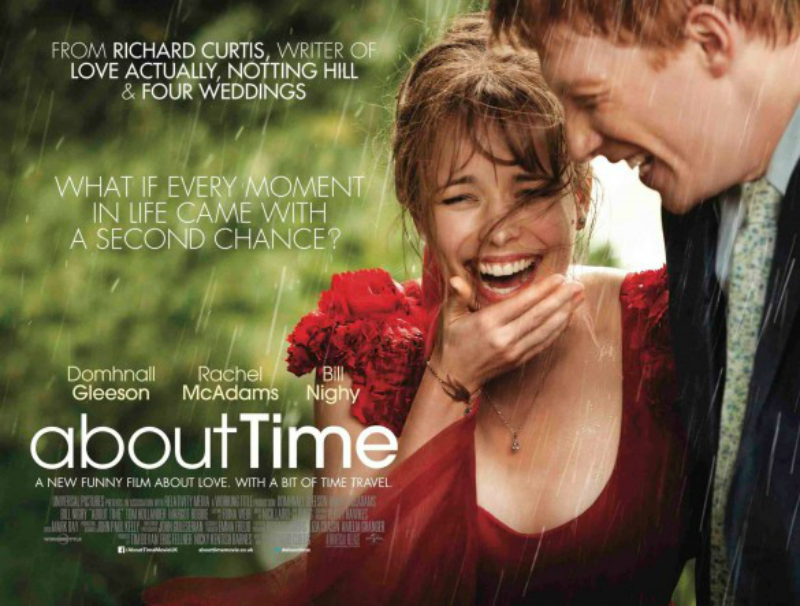 Time traveler Domhnall Gleeson was Bill Weasley in the last Harry Potter films, and quite a few other familiar faces (particularly for fans of British television) bring their considerable experience to putting together a warm and sometimes funny film about life. It has facets of the Butterfly Effect series in the means of time travel, and at least some of the same problems. This is definitely worth seeing despite its flaws. 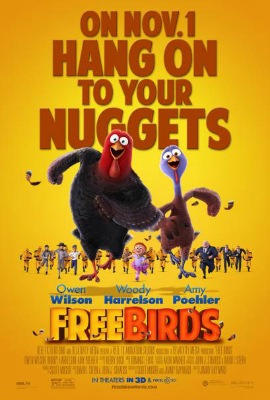 Meanwhile, her time-traveling Midnight in Paris costar Owen Wilson lends his voice to the hero, one of the two time travelers, in Free Birds, his second foray into time travel. Among the other voice actors in this animated action film are George Takei, who was in Star Trek IV: The Voyage Home, who plays a time machine that owes quite a bit of visual inspiration to Max of Flight of the Navigator. Another Star Trek alum, Colm Meaney, plays the villain, and the other time traveler is voiced by Woody Harrelson, who appeared as himself in Austin Powers: The Spy Who Shagged Me. This is a fun romp, reminiscent in some ways of Chicken Run but a bit more fun, as two turkeys go on a mission to Plymouth Rock in the hope that they can permanently remove turkey from the Thanksgiving holiday menu. If you celebrate the holiday with a dinner of pizza, you'll know they succeeded. The film scrambles tropes from various theories, resulting in a disastrous temporal impossibility, but it's obvious throughout that this is intended as a farce, making fun of time travel. There are some dark moments, but overall it is clearly suitable for and enjoyable by children, while not unsatisfying for the adults, either. 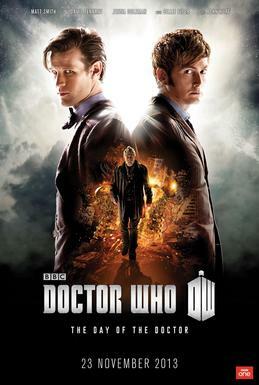 The big news for November, though, may be the screening of Doctor Who: The Day of the Doctor, which will appear in very limited select theatres in major cities on Saturday, November 23rd and in a larger group of three hundred locations nationwide on Monday, November 25th, to celebrate the fiftieth anniversary of the program. Time travel is apparently catching on--there are more new time travel films expected in the months ahead, including Mr. Peabody (yes, the dog from Peabody and Sherman with the Wayback Machine), and a new X-men film in which Wolverine has to alter the past. As always, we hope eventually to provide in-depth analyses of all these films.